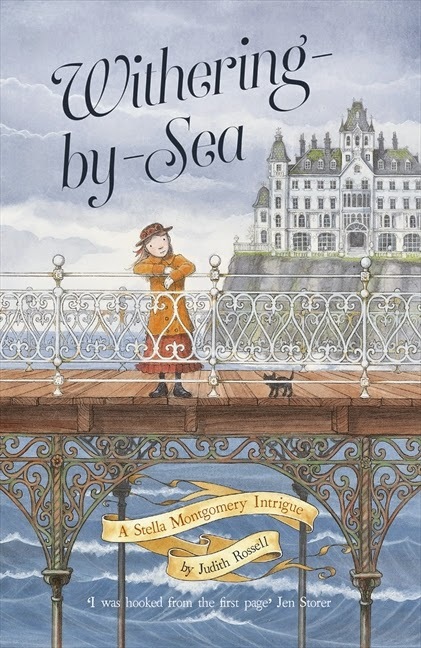 Stella Montgomery is a constant disappointment to her three maiden aunts and they are more than a disappointment to Stella. Set in Victorian times where Stella’s lessons are deportment, needlework, pianoforte and French, life couldn’t be more uneventful. Until one night in the conservatory of the Hotel Majestic, an old man hides a small parcel under the roots of a potted fern, thieves go marauding and someone dies. Then Stella Montgomery’s world turns upside down. There is the frightening Professor who will stop at nothing to get what he wants, a small boy who cannot escape the Professor’s influence and an amazing atlas. Get ready for a life-and-death adventure, cats with rather unusual talents, some unexpected friends and a family mystery. It’s all in Withering-by-Sea. The pages flew under my fingers so quickly that I was almost cross when the story ended. The only consolation is that there will be more adventures in the Stella Montgomery series – very soon, I hope.